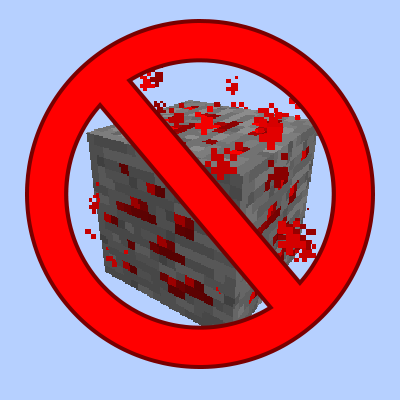 This mod replaces the vanilla redstone ore with a identical redstone ore that will not start glowing or do any particle effects when right clicked, stepped on or interacted with in any form. This mod is made due to a request from Darkosto. hello, this mod is great with some emissive textures from optifine, could you make a mundane magma block as well? Does this replace the redstone ore I already have in my storage system, or is it any new ore? This is a new redstone ore. It disables the generation of the old one. I didn't want to replace it because I didn't want to cause any issues that might happen by replacing it.